Well, well well, guess who’s driving to Wembley on May 25 (2013)? Ford has been running an ad campaign, urging Europeans to “Drive to Wembley” for the climactic end to the 2013 Champions League soccer/football tournament. 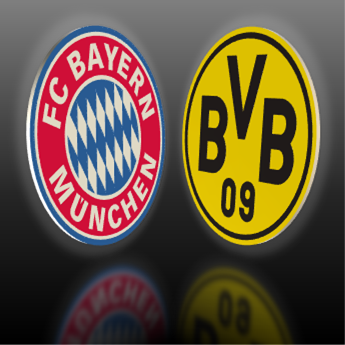 This year will be an all-German show, with Bayern München playing against Borussia Dortmund for all the marbles in London. Since I currently live in Munich, this will be a Big Deal around here. I’m sure the commercials will be spoofed: “Fahren nach Wembley!” Heck, maybe Ford even launched a last-minute German version to take advantage of the same-nation final. 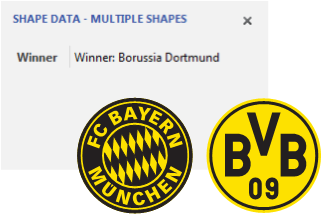 Anyway, I thought I’d commemorate this fourth-ever, same-nation Champions League final with some Visio SmartShapes. 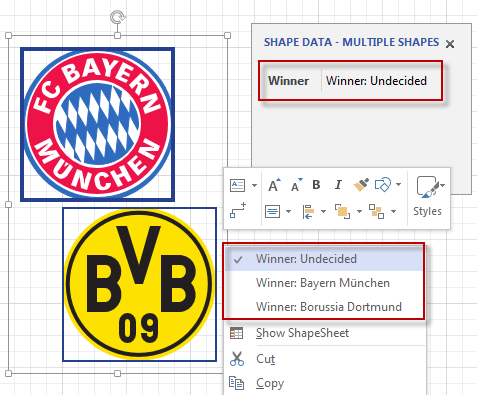 It seemed as good an excuse as any to fire up the recently released Visio 2013 and put it through its paces for creating team logo shapes from scratch. Unlike some of my other logos, creating the artwork was easy this time. 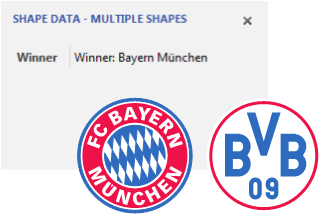 Wikipedia has SVG files for FC Bayern and BVB. 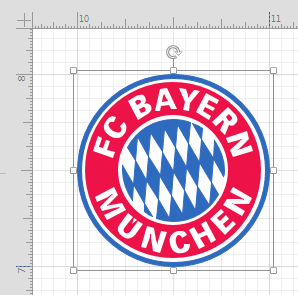 SVG is a vector format, and Visio knows how to import them and getting the Bayern vectors was a snap. 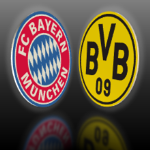 Dortmund, however, needed a little bit of work. Visio didn’t seem to quite understand the file and brought it in as a bitmap with a huge alignment box full of empty space. 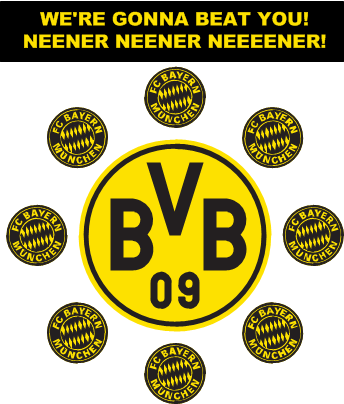 So I opened Borussia_Dortmund_logo.svg in Inkscape, ungrouped the artwork, and then re-saved it. 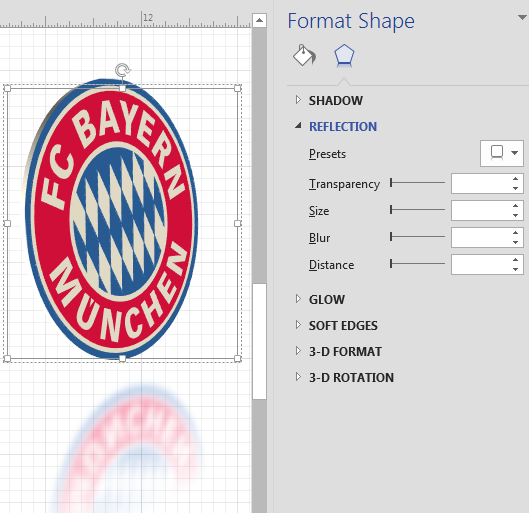 Visio was able to handle the modified file and make useful, editable shapes for the BVB 09 logo. If I didn’t do much drawing, I did do a lot of resizing. I’m used to using Visio’s grid to do this, because it has always given good feedback. Making things nice, even sizes has always been fast, easy, and…a snap. 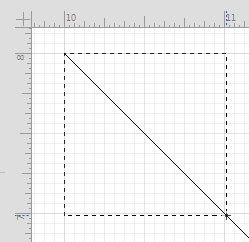 In Visio 2013, I’m sorry to say, snapping to the grid is terrible when resizing shapes. The alignment box around the shape is bigger than the shape, so the outline you see is not what you are actually snapping. Instead, the mouse location is snapping. 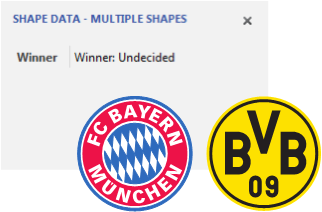 If you look at the next image, you can see that I’ve snapped FC Bayern to be exactly 1 in. x 1 in. You’d never know by looking at the alignment box around the shape. Instead, you have to look (way) down in the lower-left corner at the status bar to double-check that the shape is the size you think it is. The visual-tactile feedback is really strange, to say the least. Perhaps it is just something that I will quickly get used to after awhile. Right now, it’s really frustrating. Before I brought in the artwork, I needed to make a square group, and add some ShapeSheet smarts to it. I started out trying to draw a square as a placeholder for the logos. Yes, a simple s q u a r e. The dynamic grid helpfully popped up and let me snap along a diagonal line, to ensure that my rectangle was a square. Unfortunately, the snapping to the diagonal was stronger than the snapping to the grid. It was almost impossible to make a perfect 1 in. x 1 in. or 2 in. x 2 in. square. In the end, I made a rectangle, then stretched the width and height independently. Snapping while stretching in one dimension worked just fine. After fifteen or twenty minutes, I managed to make a group that had a Shape Data field and some custom context menu items that let you set the winner. Since the match hasn’t been played yet, the initial setting is: “Undecided”. Behind hind the scenes in the ShapeSheet, I created a bunch of IF formulas for switching colors based on the eventual winner, and wired them up to the imported SVG shapes. I’m sure that I have just committed atrocities which are beyond my understanding. Hopefully the offended will bear with me and my North American ignorance, and have a good chuckle at all of this defacement and sacrilege. Oh, Visio 2013 has a crazy array of new formatting options, that include 3D rotation, depth effects, glow, multi-stop gradient fills, perspective, and reflection. Every image in this post was created with Visio 2013. Absolutely No Photoshop bits were harmed in the making. By the way, the download contains both Visio 2003-2010 and Visio 2013 file formats. 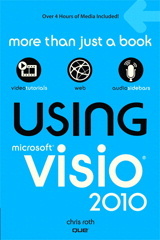 The Visio 2013 version includes the fancy shiny graphic you see above as a Visio master shape too!